This past week I once again was blessed to be present at a youth-led spiritual renewal weekend for high school students. It is always a very special time where you are just surrounded by the Holy Spirit at all times. The retreat is called Happening. One of the biggest aspects of the weekend is the concept of Servant Leadership. It may sound like a bit of an oxymoron but it is actually a very useful form of leadership. Typically, the “leader” accumulates and exercises their power as if they were above everyone else. On the other hand, a servant-leader is someone who shares power, and puts the needs of others first so that they may help them develop and perform better. Imagine those two qualities in the teachers you have at school…which one would you rather have? This verse just seems to describe the weekend of Happening perfectly. Another tradition at Happening is that the youth Rector will read everyone a goodnight story. They typically choose one of their favorites books from their childhood. 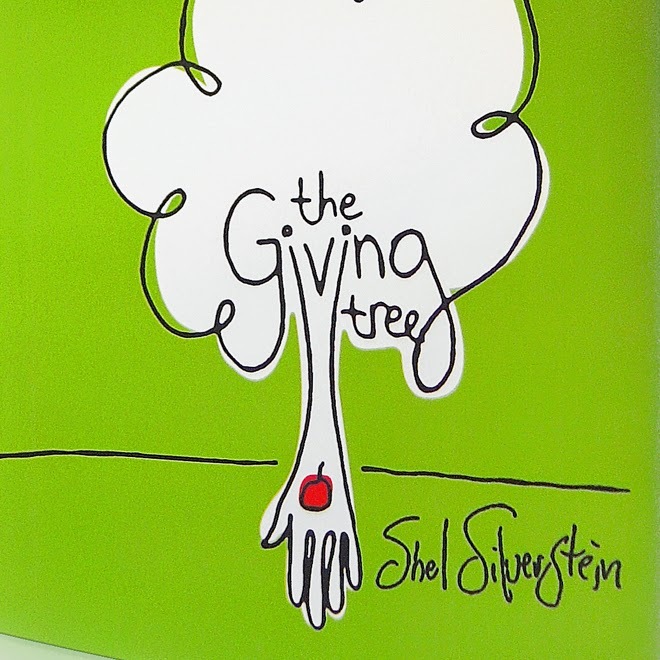 This time, Max, the rector chose The Giving Tree by Shel Silverstein. I am sure that most of you are familiar with this story of a tree that gave everything it had to help this boy. Each time the boy wanted something, the tree would do it’s best to make it happen. Each time the tree was able to help out the boy, “the tree was happy”. Many times in our lives we forget this message. In a society that is dominated by a push towards independence and making it on your own, the principal of servant leadership and the message from Paul is lost…it is better to give than to receive. It is does not sound like a very difficult lesson to learn but it is a whole other thing to live it. If you follow the Lectionary, you may be aware that today is the Feast Day of the Martyrs of New Guinea. If you are unfamiliar with this story, I do recommend that you look it up. The Anglican Church’s mission work began in New Guinea in 1889 when Rev. A.A. Maclaren was appointed first Anglican missionary in the region. This was just the beginning of a very long history of Anglican mission work to be done in New Guinea. During World War II, the Japanese had placed troops in Papua in July 1942. This posed as a threat to many of the missionaries in the area and they were afraid of what could potentially happen. However, Bishop Philip Strong felt so strongly that they must stay to do their work. "We must endeavour to carry on our work. God expects this of us. The church at home, which sent us out, will surely expect it of us. The universal church expects it of us. The people whom we serve expect it of us. We could never hold up our faces again if, for our own safety, we all forsook Him and fled, when the shadows of the Passion began to gather around Him in His spiritual and mystical body, the Church in Papua." In the face of danger, these priests and missionaries decided to stay because that was where they were called. They could not leave the people they were there to help. They did not did not think of themselves first but they remained faithful until their death. What if we spent just a little less time focused on ourselves and spent a little more time helping others. What if when choosing between keeping something for ourselves, we made a small sacrifice so that someone else may benefit. I think the tree would be happy.